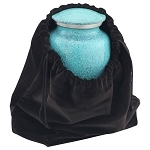 Reflections Urns & Memorials is a wholesale supplier to the funeral trade. We sell exclusively to funeral professionals. We encourage members of the public to contact a local funeral home if they wish to purchase a product found on Reflections Urns & Memorials' website. Setting up an account is easy. Simply complete the simple online registration form and a member of our sales staff will quickly contact you and assist you in using our easy online ordering system. 2. Select your products and use our easy online checkout system to place your order. Personalization and engraving instructions are easy to add using our online system. Placing the actual order online is easy, as well. 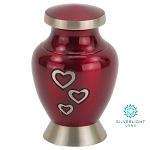 You can choose to pay for your order using a credit card, mail a check for the purchase, or elect to have Reflections Urns & Memorials invoice you for payment (net 10 terms). If you're interested in purchasing showroom samples, we can offer a discount of 25% on those purchases. Simply talk with your sales representative about what products you would like to display. 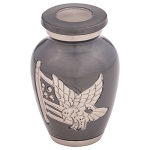 Reflections Urns & Memorials does not require our funeral professionals to adhere to any sort of MAP pricing. Consequently, we encourage our customers to establish pricing that is reflective of the market for funeral services in your community. We're happy to provide custom pricing sheets to funeral homes that request the service.